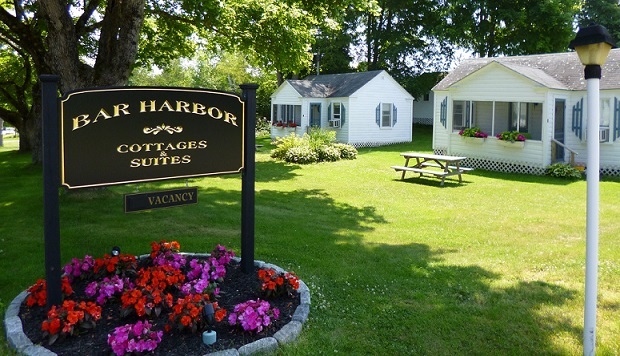 Bar Harbor Cottages and Suites is conveniently located in Bar Harbor on 2 park-like acres on a quiet lane across from a large cove on Frenchman's Bay. 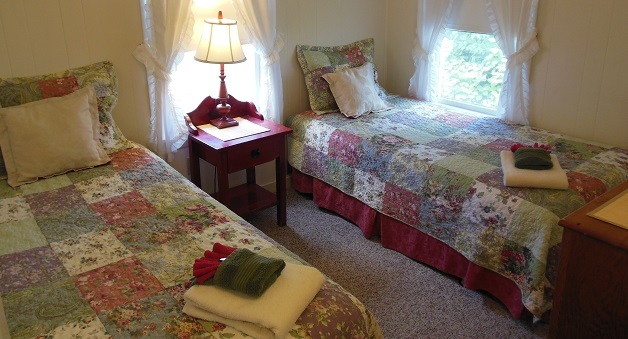 Several of our accommodations have water views. 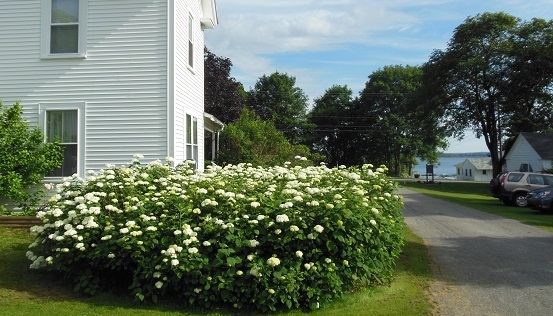 We are approximately 1.5 miles to a sandy public beach, 3 miles from the main entrance to Acadia National Park, 4.5 miles to the small downtown business district and a 15 - 20 minute drive to the other coastal villages in the area. From points south, take Interstate 95 to Bangor. Take Route 395 at Exit 182A to Route 1 A. Follow Route 1 A to Ellsworth. From Ellsworth, take Route 3 toward Bar Harbor. After passing the Bar Harbor Airport on the left hand side and Trenton Bridge Lobster Pound on the right hand side, you will cross a small connector bridge and causeway onto Mt. Desert Island. The township of Bar Harbor begins here. There is a traffic light at this small bridge. Bear left at this traffic light and follow Route 3 for approximately 4.5 miles. Make a left onto Old Bar Harbor Road at the sign for MDI Biological Labs. Pass MDI Biological Labs on the left and look for our black and gold sign on the right. We are located across the street from the Eden Baptist Church. 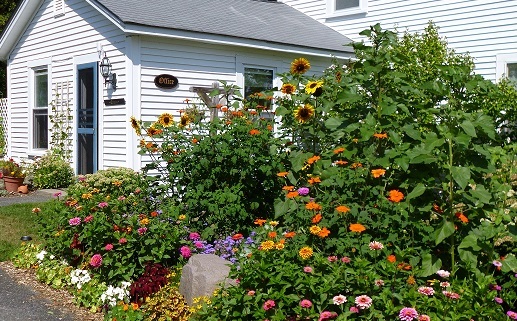 The office is located at the back of the main house on the right of the driveway. From downtown Bar Harbor, take Route 3 west for approximately 5 miles. After passing Pirate's Cove miniature golf park on your left, make a right at Old Bar Harbor Road. Then bear left and continue on Old Bar Harbor Road. We are located on the left. Look for our black and gold sign. 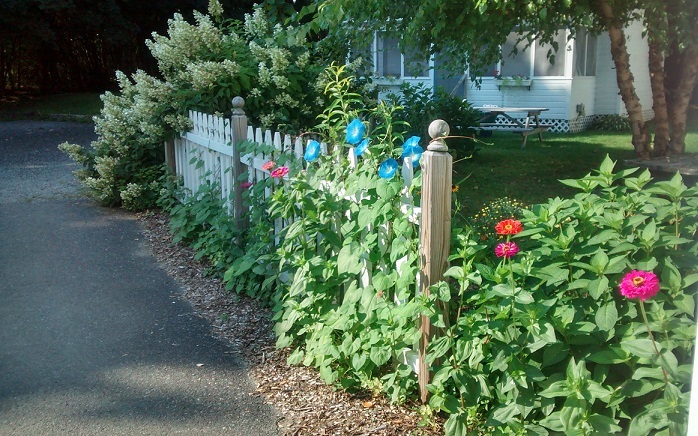 The office is located at the back of the main house on the right of the driveway.